It can tell you how much you need and how long to cook your turkey! Since Amazon first debuted Alexa almost five years ago, the virtual assistant has really taken off, despite concerns that Alexa is listening in on your conversations (spoiler alert: it's not). Even if you've never owned an Alexa-enabled device, you've probably heard of her. Now, she can even cook a turkey. Alexa is a smart assistant that can listen to you and respond with answers to questions, remind you of things and generally make your life easier. Rather than using your phone to look things up, you can ask out loud using the word "Alexa" at the beginning of your question and a compatible device will answer you. This is particularly helpful for times when you can't (or don't want to) use your hands. Although Alexa has become synonymous with Amazon products like the Echo, you can't actually buy "Alexa." Instead, you have to have one of Amazon's many Alexa-enabled devices. 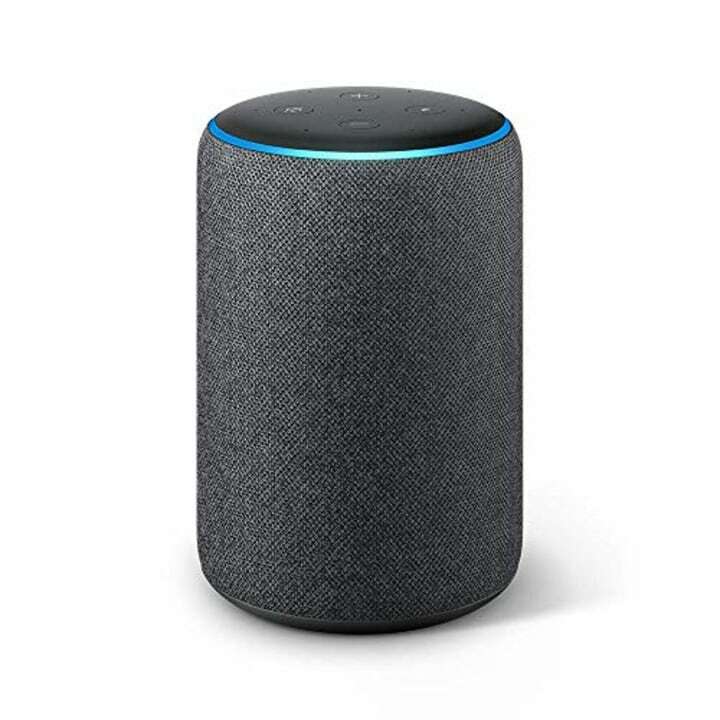 As Alexa's popularity has increased, Amazon has expanded the devices where it's available. Each Alexa-enabled device is slightly different and ideal for certain types of uses. Don't know which one to get? Here's a breakdown of why each of them is good. Available in five different fabric, faux wood and metallic finishes, this is the Alexa-enabled device that started it all. The Echo is now on its second generation, which brought dual Dolby-powered speakers that easily fill a whole room with sound. The Echo Dot is perfect if you're looking to bring the power of Alexa into additional rooms of your house. It also comes in a kids edition, which comes with parental controls and a year of FreeTime Unlimited! 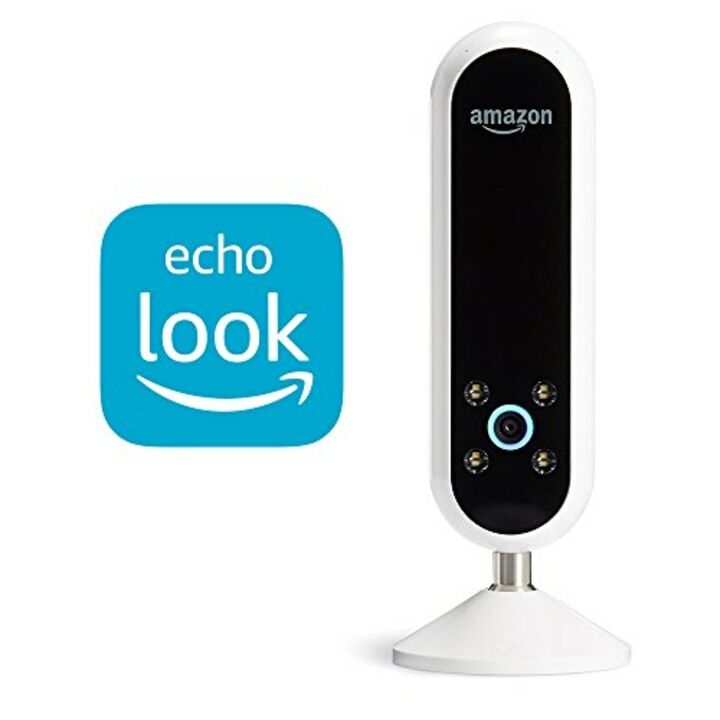 This version of the Echo has a built-in Zigbee hub that controls compatible smart home devices without an additional smart home hub. Pair with a second Echo Plus in the same room for stereo surround sound. 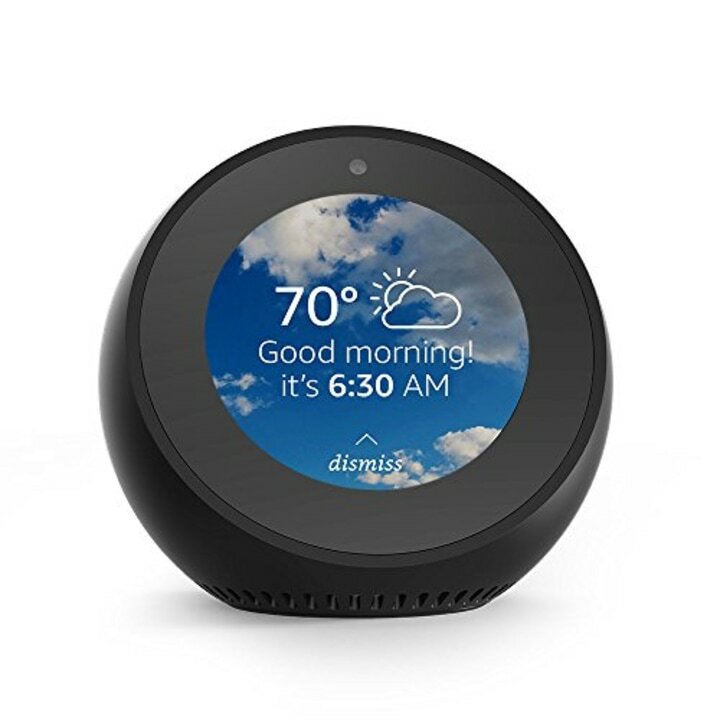 The Echo Spot harnesses Alexa onto a 2 1/2 inch screen where you can easily see the weather, watch videos, read news headlines, video call, check your calendar and more. The compact design works in any room of the home. 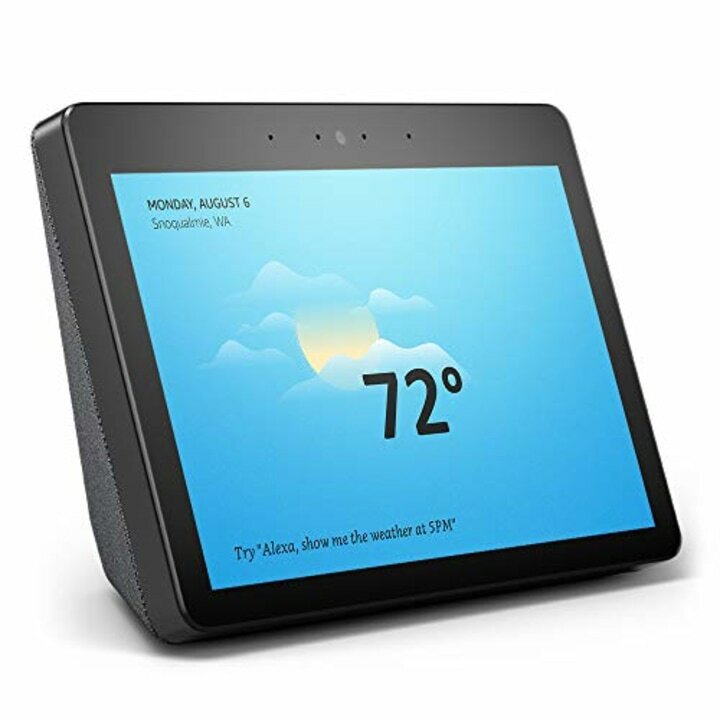 The new Echo Show features a 10-inch HD screen, the built in smart home hub of the Echo Plus and improved speakers. Just ask it to show you a recipe, watch live TV, stream from Hulu, see the front door security camera and make video calls. Available for pre-order by invitation, the Echo Auto brings Alexa into your commute. Use voice commands to play music, check the news and weather, open the garage door and get directions. The little device sits on your dashboard, plays through your car speakers using Bluetooth and can hear you over music, air conditioning and other common road noise. You'll also be able to set location-based routines, which are automated actions Alexa takes when you arrive at or leave a certain location. This is Cher's closet from "Clueless" come to life! The Echo Look categorizes your clothes by season, occasion, weather and color so you can easily scroll through what you own and put an outfit together. After you've picked your outfit for the day, take a full-length photo or video of your outfit to keep track of what you wear on a daily basis. Amazon's "fashion specialists" can also help you decide between two outfits or recommend different things to wear based on what you own. Those who have used them will tell you that Alexa-enabled devices can quickly become an essential part of your home, but Alexa's nothing without the more than 50,000 "skills" now on her resume. Alexa skills are kind of like an app, which you control with your voice, that can perform different tasks — some with the help of third-party apps. 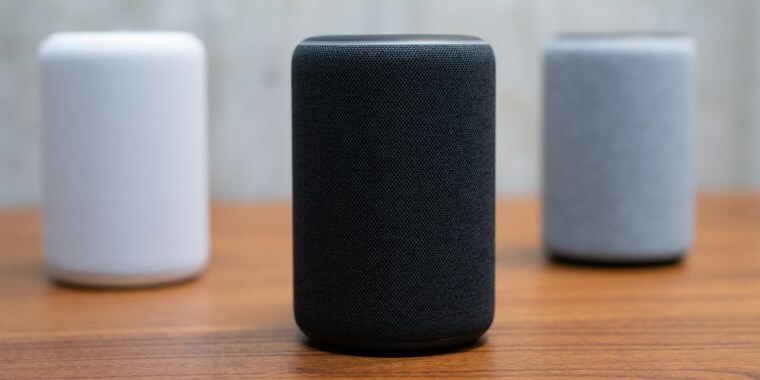 Some require a bit of setup on the back end (for example, by connecting your Alexa device to product accounts or apps), but it could mean way getting way more use out of Alexa in the long run. You probably know that this fun device responds to several basic everyday voice commands, like setting a timer, checking the weather or hearing news headlines, but it also has so many skills you may not know about. Here are the 17 best Alexa skills I've found. Cooking the Thanksgiving turkey is never easy, but the new Butterball Alexa skill can make it much more manageable. Just say "Alexa ask Butterball how much turkey I need for four people" and Alexa will give you the correct amount or say "Alexa ask Butterball how long I need to cook my turkey" and Alexa will respond with follow up questions asking how big your turkey is and whether you're cooking it with stuffing inside or not. Don’t get up: Thanks to skills for Nest Thermostats, Philips Hue lightbulbs, August locks, robot vacuums and many more smart home devices, you can ask Alexa to handle all kinds of things around the home without lifting a finger. 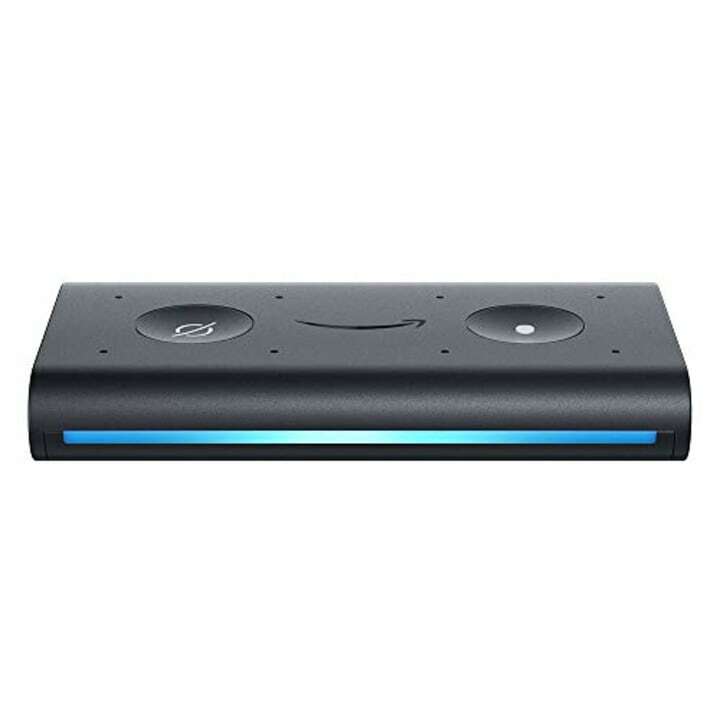 Don't have an Amazon Fire TV Stick and the compatible Amazon Alexa remote? Add a compatible Logitech Harmony remote control and Alexa can change the channel on your TV, too. Instead of yelling "dinner is ready" over and over again, have Alexa do the heavy lifting for you. 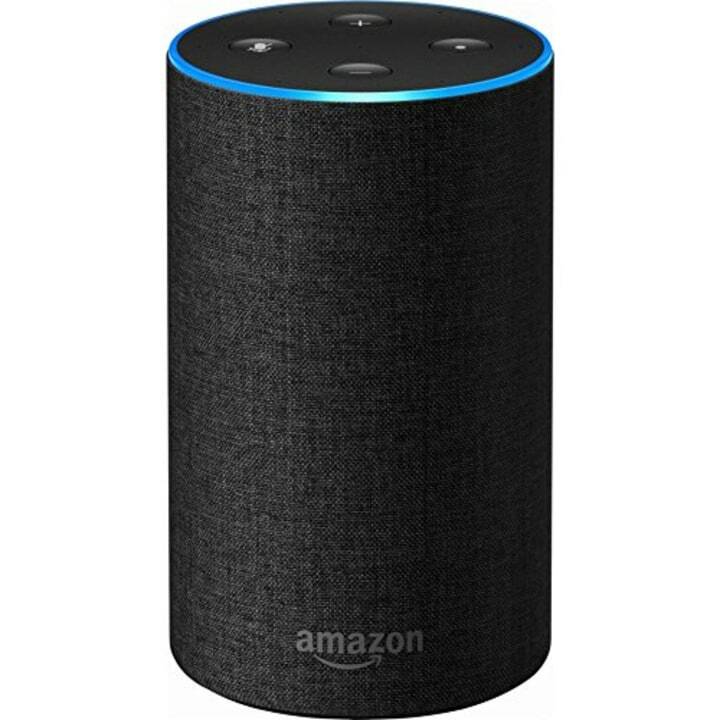 Just say "Alexa, announce that dinner is ready" and Alexa will work as a one-way intercom to the other Alexa-enabled devices in your home and announce that dinner is ready, in your voice. OK, this one is pretty amazing if you have cats and hate leaving them alone all day. The Meow! skill makes kitty noises like mews and purrs to keep your little pal entertained. Whenever I play this my cat wanders around the apartment looking for the invisible friend talking to her. Try the Woof! skill for dogs! Yep, having an Alexa-enabled device gives you access to Prime member-exclusive deals on Amazon. Use the command “Alexa, what are your deals?” or visit Amazon’s voice shopping page to find specific phrases. No time to go the gym? Clueless about where to start with a home workout? Only have less than 10 minutes to work out? Alexa can lead you through sets of exercises designed to increase metabolism, improve energy, lower stress and remove fat using the 7-Minute Workout skill. Use the Starbucks Reorder skill to have Alexa start your typical Starbucks order at any of the last 10 stores you've ordered from before you even leave the house. By the time I get to Starbucks, my much-needed coffee is ready and waiting for me. Alexa’s ability to play music used to be restricted to Amazon Prime Music, but it now integrates with many music services, including Spotify, iHeartRadio, Pandora and SiriusXM, so you can rock out to whatever you enjoy. Podcast lovers will enjoy the Pod Buddy integration, which can pull up millions of them. Once you connect Alexa to your account, hailing a ride is easier than ever. Simply say, “Alexa, ask Uber (or Lyft) to request a ride,” and it will be billed the same way it is via the corresponding ride service app. It's especially helpful when you’re running late and don’t have time to manually enter your destination and track your ride. When I'm home alone and there’s no one around to call my phone (which is totally here, somewhere) I have Alexa do it. Just say, “Alexa, open ‘Where’s My Phone’,” and she’ll give your phone a ring so you can follow the ring or vibration. When you answer the phone a robotic voice says "Glad you found your phone" before hanging up the call. If you use lost and found trackers like Trackr or Tile, Alexa can help you find anything you’ve tagged, from your keys and laptop to a beloved child’s toy. You don’t even need to be near your cellphone: Simply tell Alexa to call a person from your phone’s address book. It’s a great hands-free option — especially if you have to do things that require your hands, like housework or cooking, or are feeling particularly lazy, like me sometimes, during your call. Just say "Alexa, help me sleep" to be guided through a muscle relaxation exercise that will have you sleeping in less than 15 minutes or try "Alexa, ask Sleep Sounds to play rain" to be whisked off to a deep slumber. Subscribe to the security program Have I been pwned? (pronounced “poned”) to enable this skill, then check all your accounts for security breaches. Simply ask, “Have I been pwned?” to do a cross-account check. 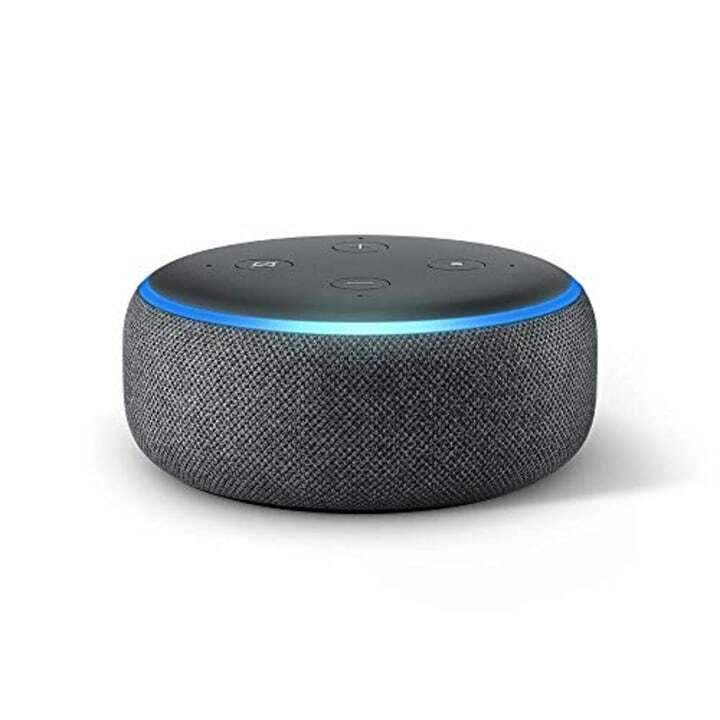 Wake up to TODAY's morning headlines with Savannah Guthrie and Hoda Kotb using the TODAY Alexa skill. If you have an Echo Show or Echo Spot, you can also see brief video clips from that morning.